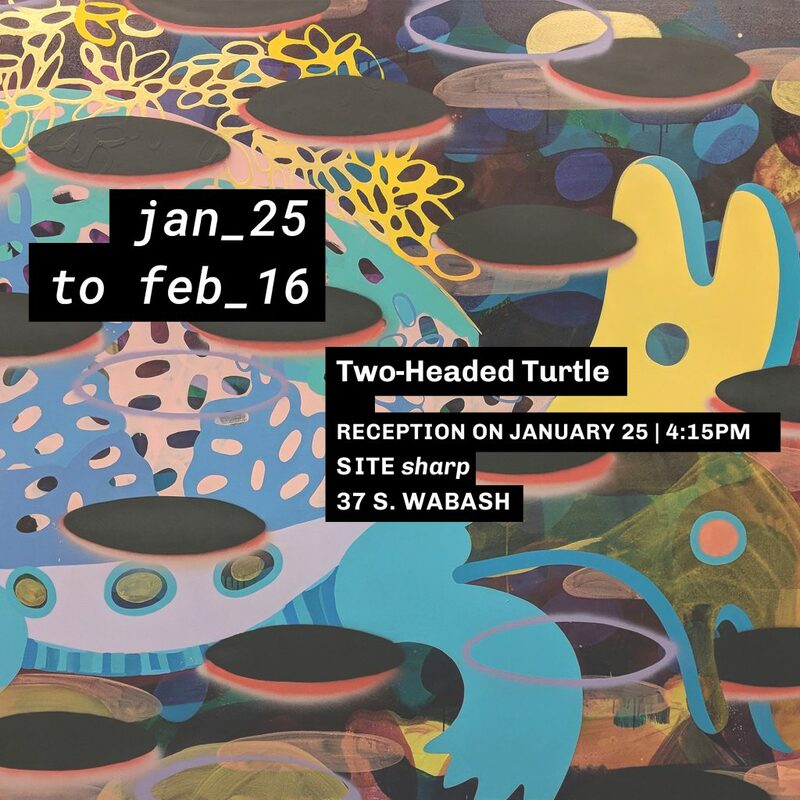 Two-Headed Turtle, Cecilia Beaven’s (MFA 2019) first solo show in Chicago, curated by Giannella Ysasi (MA 2019), presents the ludic development of Beaven’s personal mythology through painting, animation and film. Beaven creates an extended painting by transforming the two dimensional and pictorial into the cinematic and the scenographic. In Two-Headed Turtle, Beaven’s ethnographic and mythological searches are assembled into a monstrous, fragile and introspective setting.